Every time I type in a quote mark ("), the "smart" Chinese input method would automatically convert it to “ or ” for me. But compilers and interpreters don't know what “” mean, they can only recognize ". How can I disable this conversion? In most Cocoa-based applications, you can disable this by unchecking Edit > Substitutions > Smart Quotes. 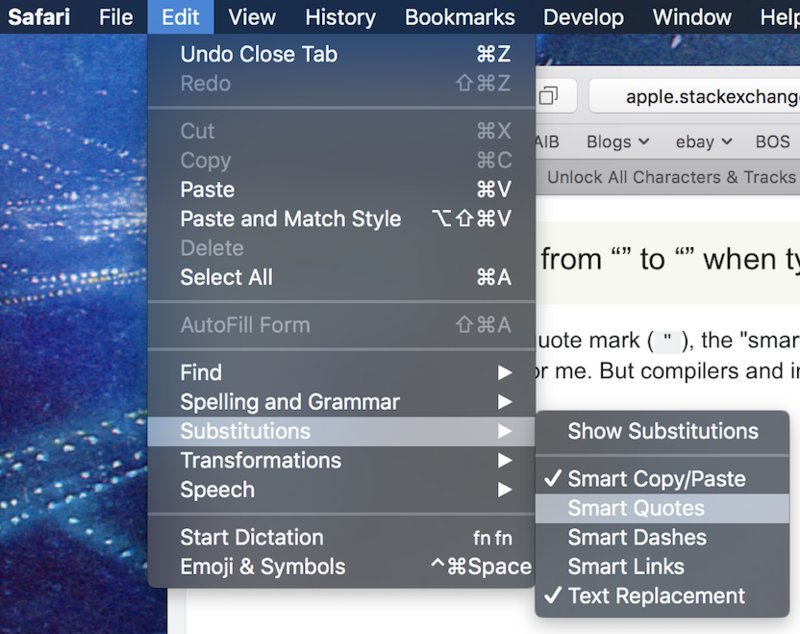 In TextEdit, try invoking caps lock before typing quotes. Not the answer you're looking for? Browse other questions tagged macbook sierra input-source text-input . How to turn-off the heuristic guessing of (kanji + okurigana) while doing Japanese input? How to stop note to stop auto convert double qoute to inverted comma?